Reid Traditional Schools’ Painted Rock Academy is proud to announce the selection of the school’s founding principal. Mrs. Leslie Szostak has been named to the post, continuing her six-year relationship with Valley Academy and Reid Traditional Schools. 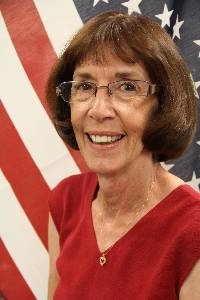 Mrs. Szostak served as Principal at Valley Academy for four years until her retirement in 2010. For the past two years, she has stayed in touch as a substitute teacher and as an involved grandparent of two Valley Academy students. The opportunity to open a new traditional school drew her back into the Principal’s office. “I’m glad I can contribute to Painted Rock Academy’s solid academic foundation,” she stated. Mrs. Szostak came to education after a career in banking. She taught 7th grade U.S. History for seven years before becoming certified as a Principal with the Department of Education and moving into school administration. She served two years as Assistant Principal and four years as Principal at a district K-8 school with over 1500 students. When that school expanded, she was Principal over the K-4 building for three additional years until joining Valley Academy as Principal in 2006.